Walking the path of the soul is not on overnight project. It’s a work of a life time, or – if you take the notion of karma seriously – probably of many of them. For me it was an immense support to get acquainted with teachings about the seven stages of spiritual consciousness. 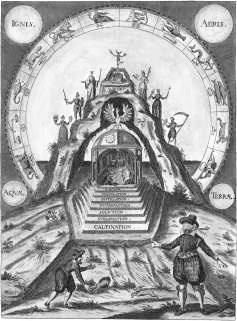 It is in fact one of the most ancient spiritual teachings of mankind, that figures in nearly all the world religions, especially its mystical branches. It provided me with some kind of a travel guide, that made me aware of where I am and where my path is leading. 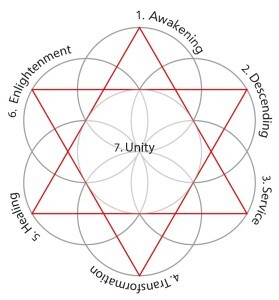 When I started to study the writings of the different religions about the seven phases it soon became clear to me that the exact descriptions of the seven phases sometimes differ considerably. It made me wonder which description resonates strongest with me. But it also gave me the freedom to formulate my own version, which is rooted in the similarities between the traditions ànd in my own experiences and insights, and those of the people around me. 1. Awakening: the growth of the realization that there is more between heaven and earth than that which we can perceive with our normal senses. 2. Descending: making the connection with our shadow, the repressed dark sides in our personality and in culture, which ask for recognition and healing. 3. Service: making a connection with a religious tradition that suits you, so that you can learn in depth what the connection with the divine means. 4. Transformation: spirit nestles in the centre of the soul, and you start to see that all spiritual traditions are actually about the same thing: the union of the soul with the divine world. 5. 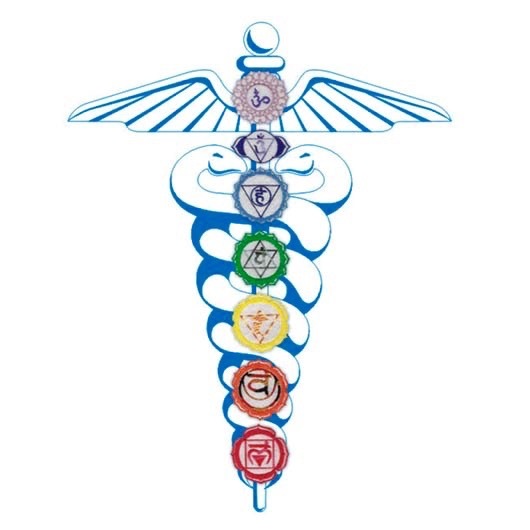 Healing: one develops the ability to heal everything through the directing of energy. It brings a growing awareness of wholeness or unity in the self and in the connecting networks around us. 6. Enlightenment: complete submission to the Divine and the emanation of light in such a way that everybody can see it. 7. 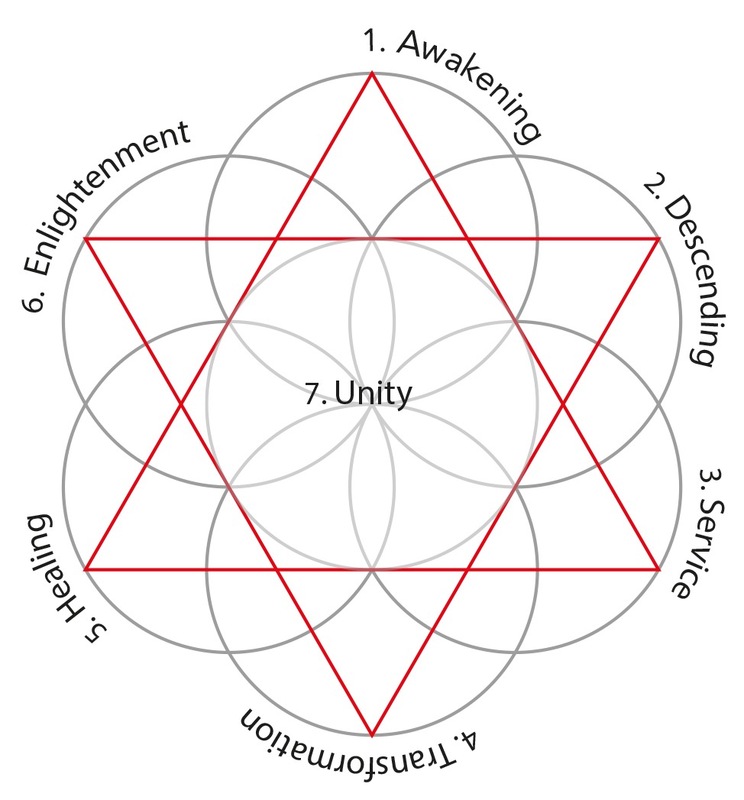 Oneness: complete union between the seeker and the Divine, between soul and spirit; manifesting the Divine on earth. Often the journey of the soul is visualized as a ladder. I prefer however a model that clarifies that we are always circling around a centre, a point of stillness. It better fits with my work with the labyrinth. 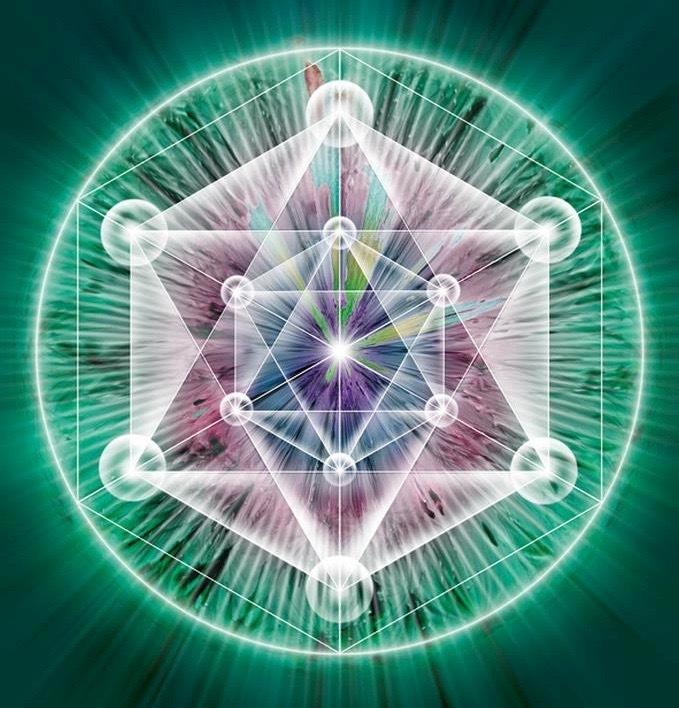 That’s why I combined my model with the image of the flower of life. Starting with ‘awakening’ you can proceed your soul journey following the circle through the next stages. All the way you are aware that you move around a centre of oneness, but that you also can – and sometimes have to – return to the earlier stages. The further you come, the deeper becomes in fact your understanding of them. Your wisdom ànd your humility are growing. From my Inka teachers I have learned that these stages are not only maps of individual soul development, but that they also apply to mankind as a whole. More and more people are growing into the fourth phase at the moment, that of seeing the similarities between the religions, and the need for honoring interconnectedness and practicing compassion. That’s why working at the fourth level is so important right now. It provides an antidote against religious fanaticism, and contributes towards bridge-building and peace-making. wants to contribute to this process. I provide seminars about this topic, in which I clarify the seven phases more in depth. Eventually it will grow into a book.